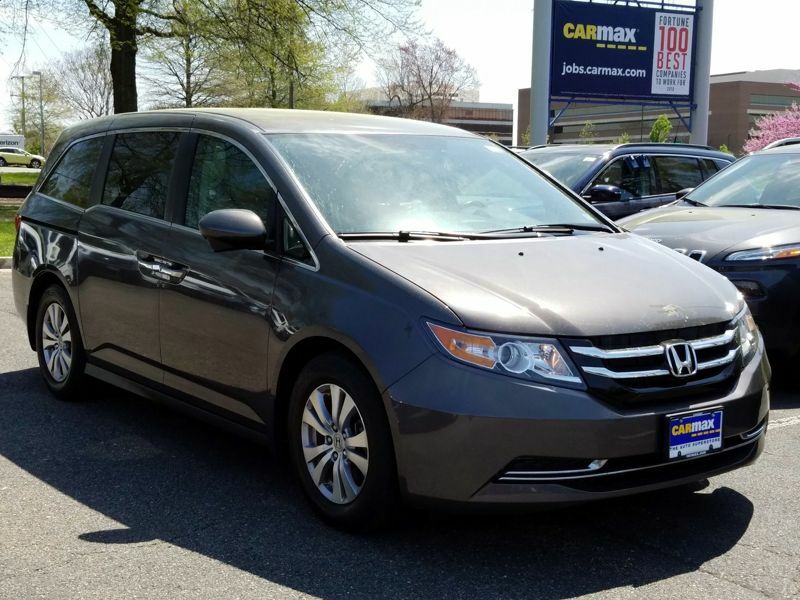 Honda Odyssey Power Sliding Door(s) Gray Int. 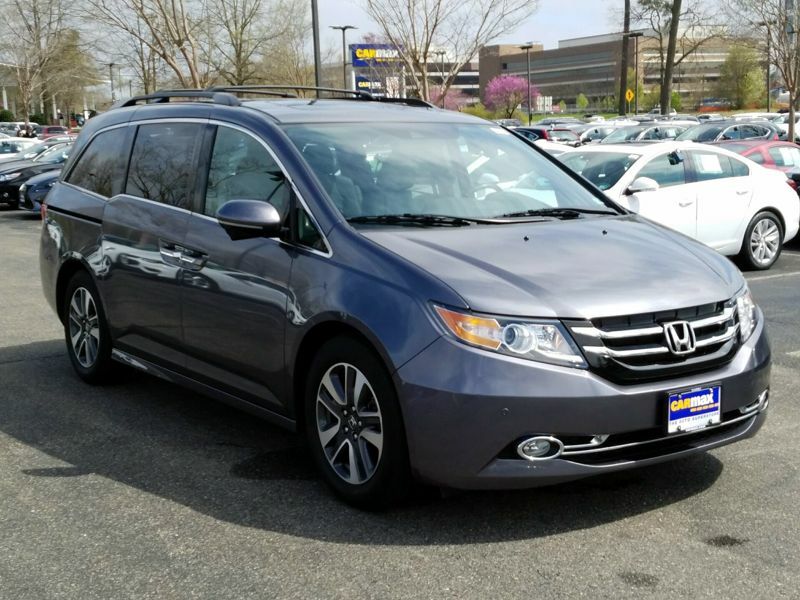 Transmission: Automatic Color:Black Interior Color: Gray Average Vehicle Review: (4.8 reviews) On April 14th 2017 while I was at a stop sign, someone rammed into the back of my van, considering the impact, and the fact that my van was pushed forward even though I had my foot on the brake, there was only minor damage to my van. The person who hit me had major damage to his car. I am sooo very glad I purchased this van. 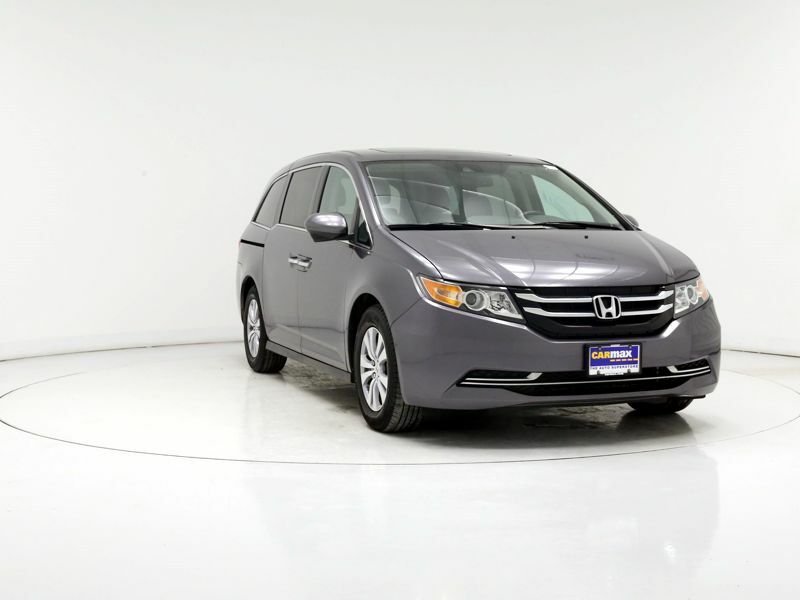 Transmission: Automatic Color:Black Interior Color: Gray Average Vehicle Review: (4.8 reviews) when I (my dad) bought this car, it was a beauty. it only has 4500 miles, and, for only 28k, it was a steal. I LOVE IT. What i did not expect was the powerful amp in this fan. sure, it only has 270 watts, but, the quality of the sounds BLOWS it competitors Away. once you tune it just right, it will blow you away with the quality of the sound. 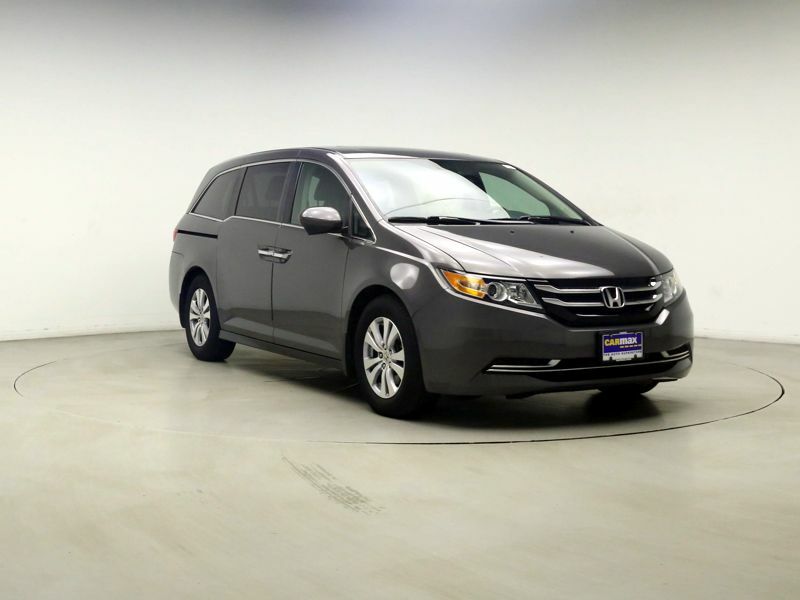 Transmission: Automatic Color:Silver Interior Color: Gray Average Vehicle Review: (4.81 reviews) This is a spacious minivan that could fit an entire family of 7, or some friends, or for UBER . The inside in so sound proofed that you feel so comfortable in it. The cargo space is just amazing. The last row of seats are easily removable and you can even have a 4x8 plywood boards in it. Also, it is not that high and it could fit in most of underground parking spaces. 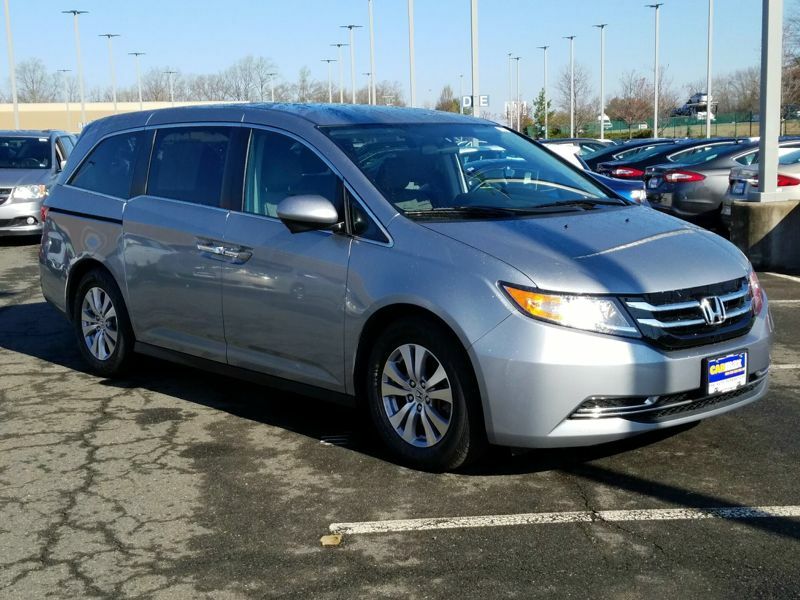 I have owned 3 other minivans (Ford Freestar, Kia Sedona, and Honday Odyssey). This one, by far, is the best invested money in a car. 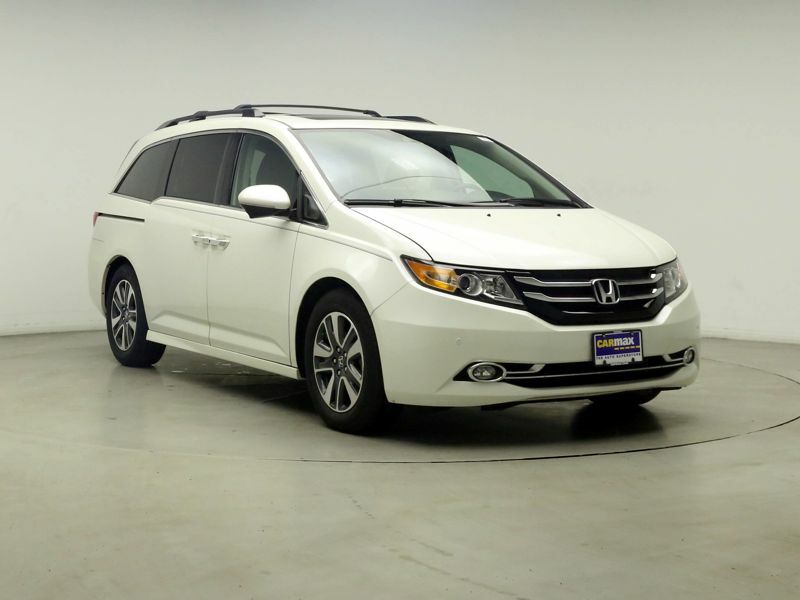 Transmission: Automatic Color:White Interior Color: Gray Average Vehicle Review: (4.391 reviews) The Honda odessey is THE only vehicle we could find with more than one top tether hook (used to install a forward facing car seat). 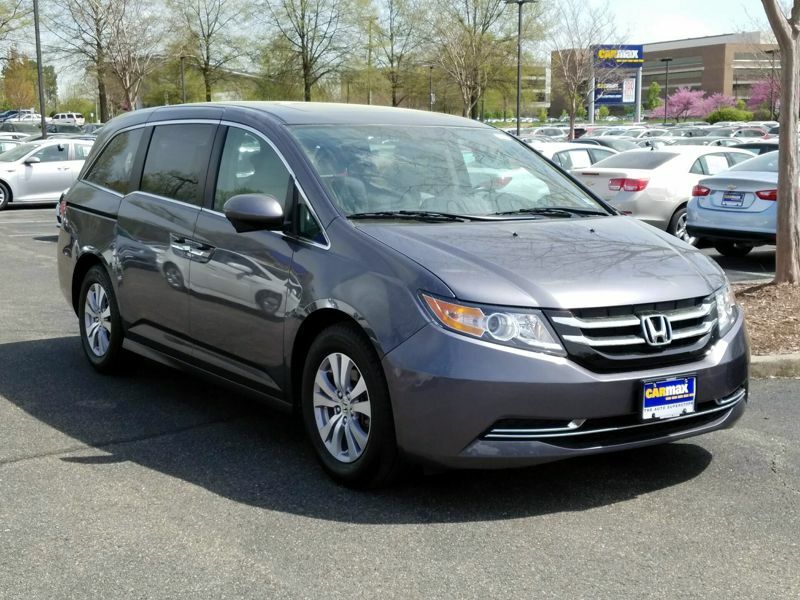 I currently have four different car seats installed in mine with PLENTY of room for others to sit and plenty of cargo room for a double stroller, groceries, etc. 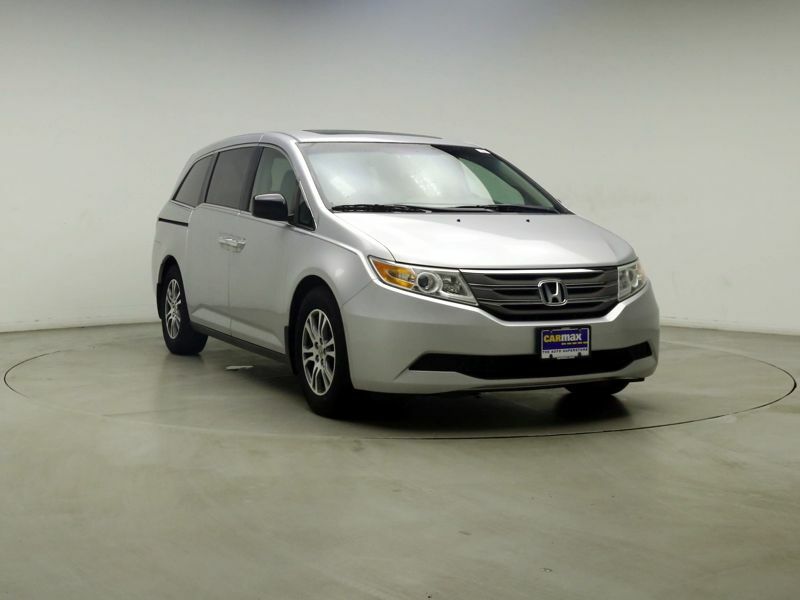 Transmission: Automatic Color:Silver Interior Color: Gray Average Vehicle Review: (4.857 reviews) LOTS of space for pack and plays, toys, and hauling anything and everything. 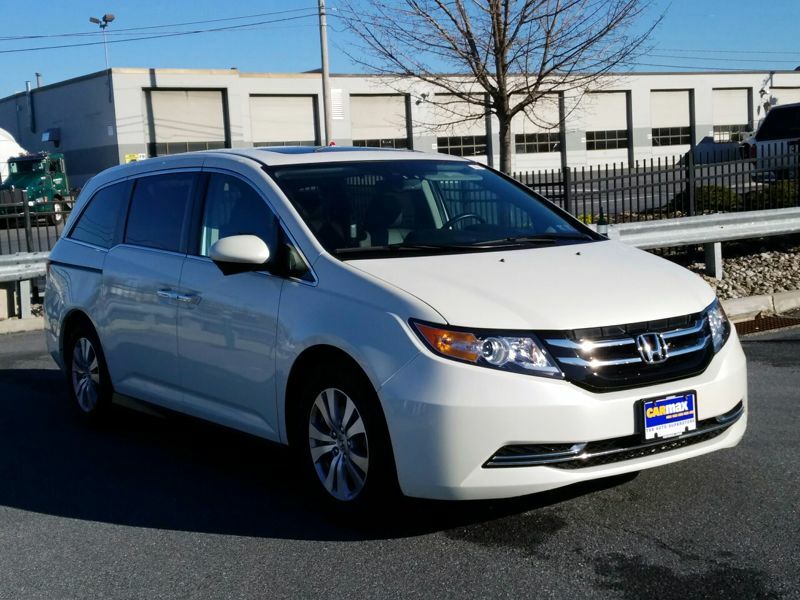 Great highway mileage and very smooth ride. 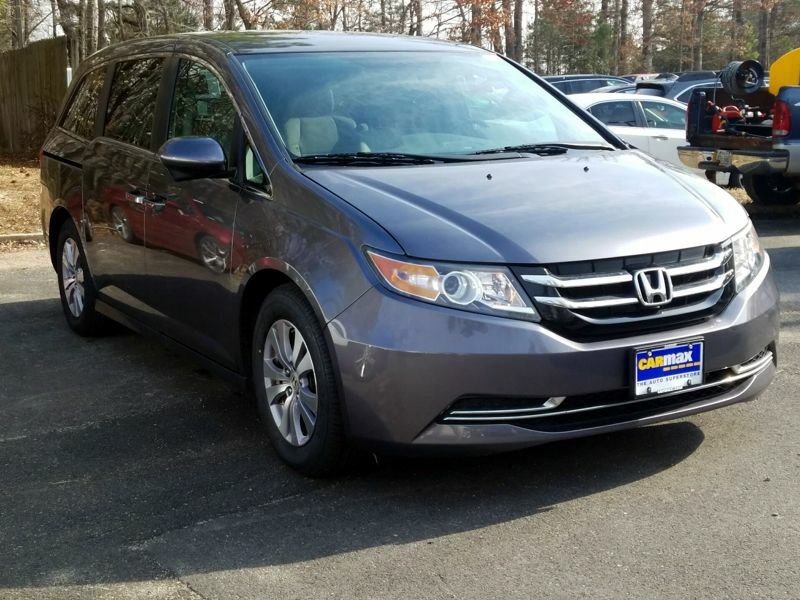 We love the sliding doors and are glad that we can accommodate all of the grandparents AND our family in the same vehicle when they come to visit. Only thing I don't like is that it can be hard to park. It takes up the whole spot. Transmission: Automatic Color:Silver Interior Color: Gray Average Vehicle Review: (4.857 reviews) I've only had the car for 5 months. I love it so far. It has everything I could ask for in a van. The only issue has been one of the sliding passenger doors isn't working properly. It tries to close but then opens back up.  It maybe a sensor or some machinaly? Either way I have a warranty on it and am hoping it's covered. Other then that issue its been an awesome van. 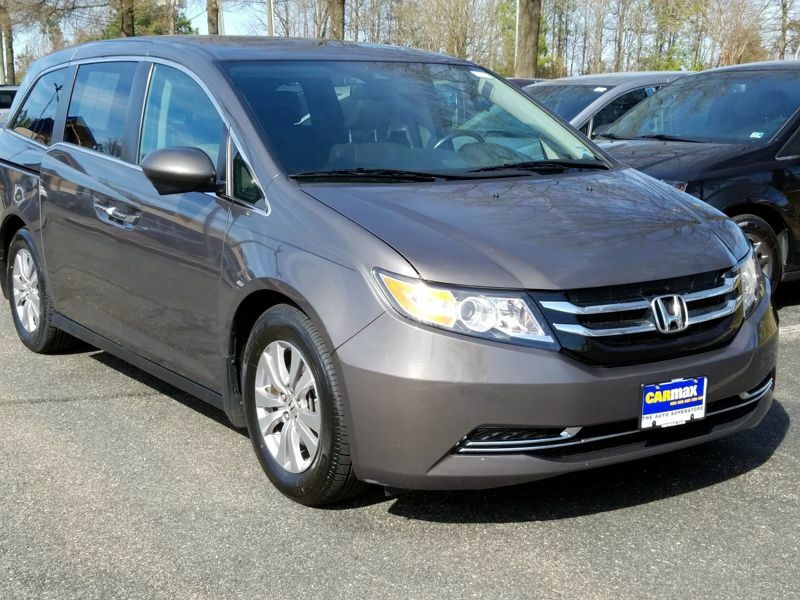 I've traveled a bunch in it and it rides well, there's plenty of room for my kids and all their friends and the gas mileage is ok. 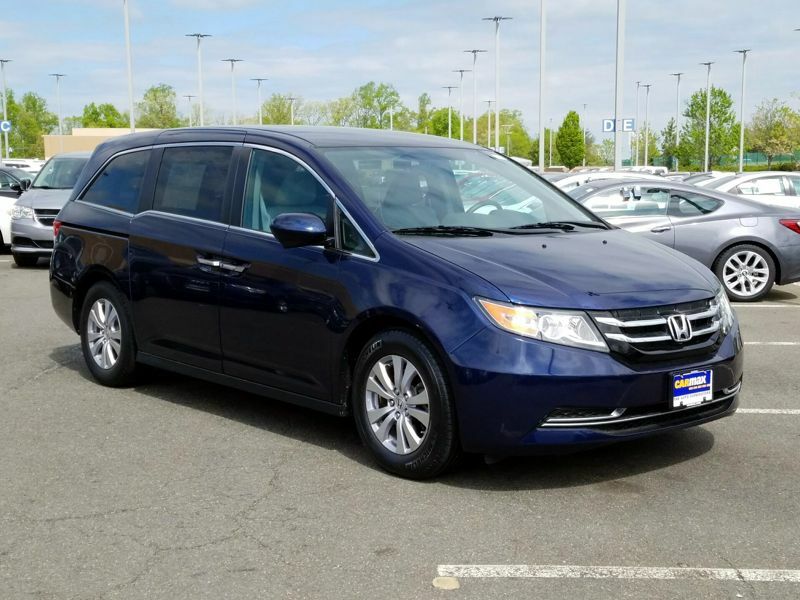 Transmission: Automatic Color:Blue Interior Color: Gray Average Vehicle Review: (4.8 reviews) The van is spacious and the seats are comfortable. The back seat folds down flat into the well. I call it a well, but it's actually a seat storage compartment. The middle seats are removable. I usually take one middle seat out and it gives me ample space to haul things. For instance, I recently purchased some furniture and was able to place the items nicely in my van. Plus, the items you are hauling do not get wet like a pickup. 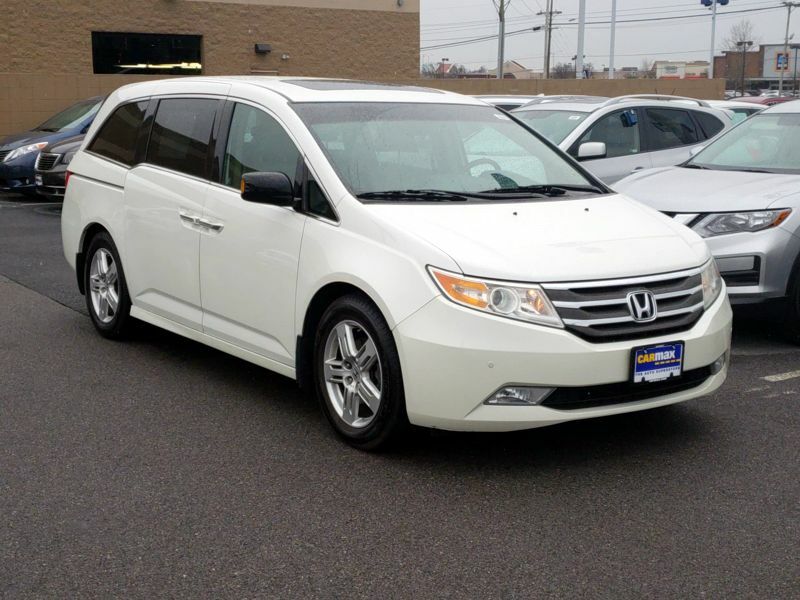 The van drives like a car so it should be easy for any driver. I love the backup camera as it helps me to avoid an accident while backing. As long as you keep the oil changed and do all of your service checkups, this vehicle will keep running and last a long time. 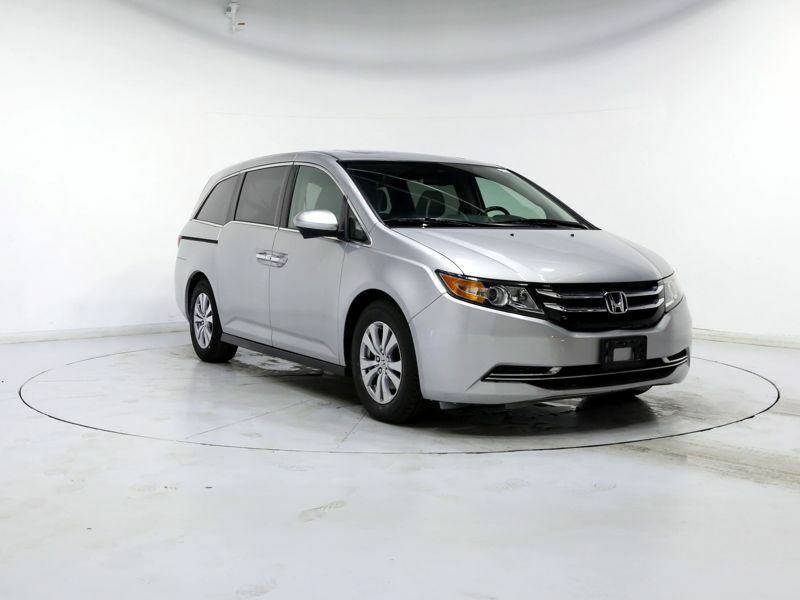 Transmission: Automatic Color:White Interior Color: Gray Average Vehicle Review: (4.857 reviews) I always said I'd NEVER buy a van but everything changes when you have a child. I was quite surprised at how much I like this vehicle. 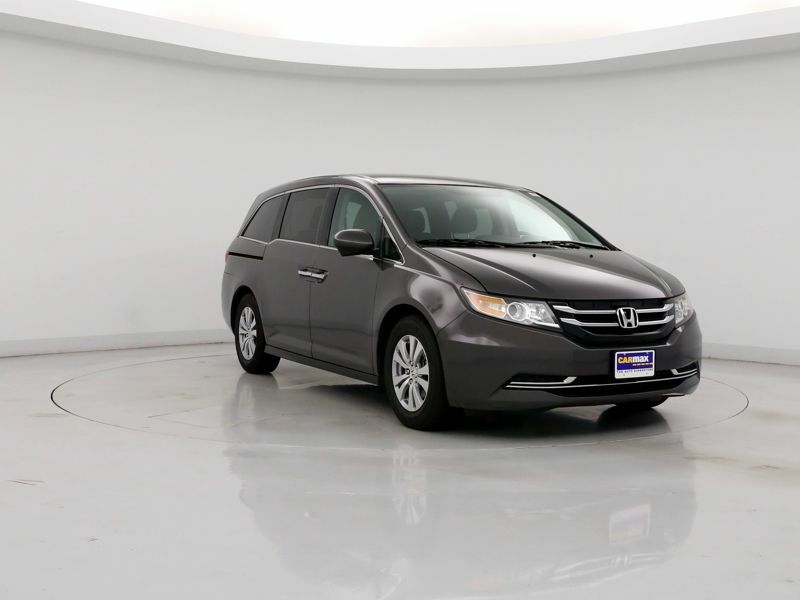 It's practical and spacious and even if you don't have kids it's great for hauling bulky items. 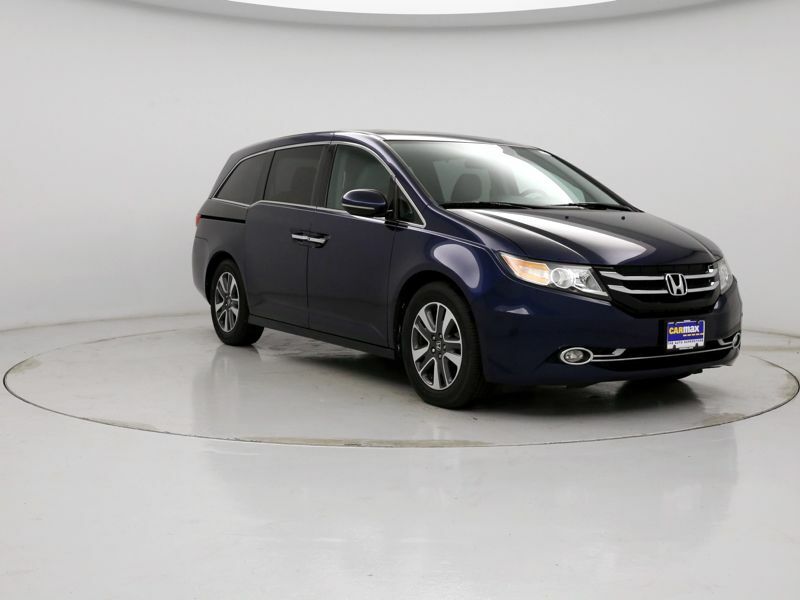 It has plenty of cup holders and storage and I really enjoy driving my 2012 Touring Elite. 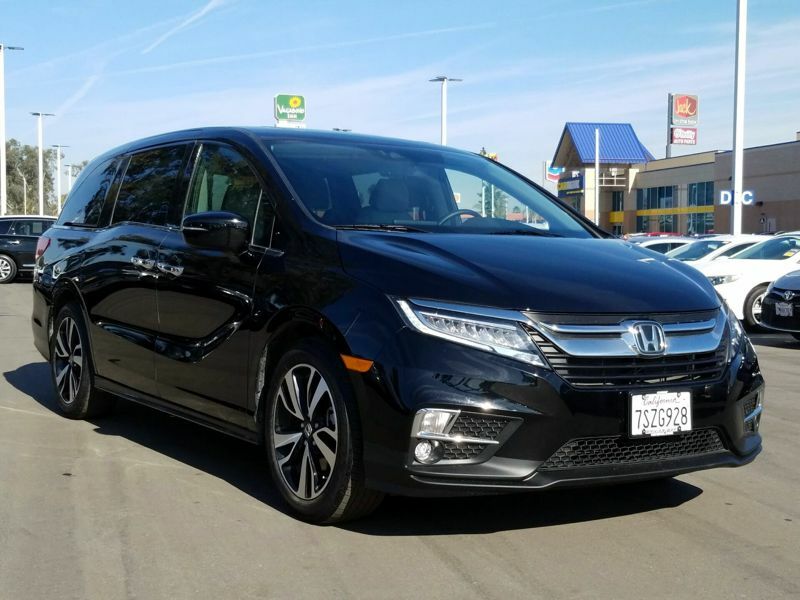 Transmission: Automatic Color:Gray Interior Color: Gray Average Vehicle Review: (4.8 reviews) This is my second Odyssey Touring and it is worth every penny. You can't beat the gas mileage if you need a 3rd row. 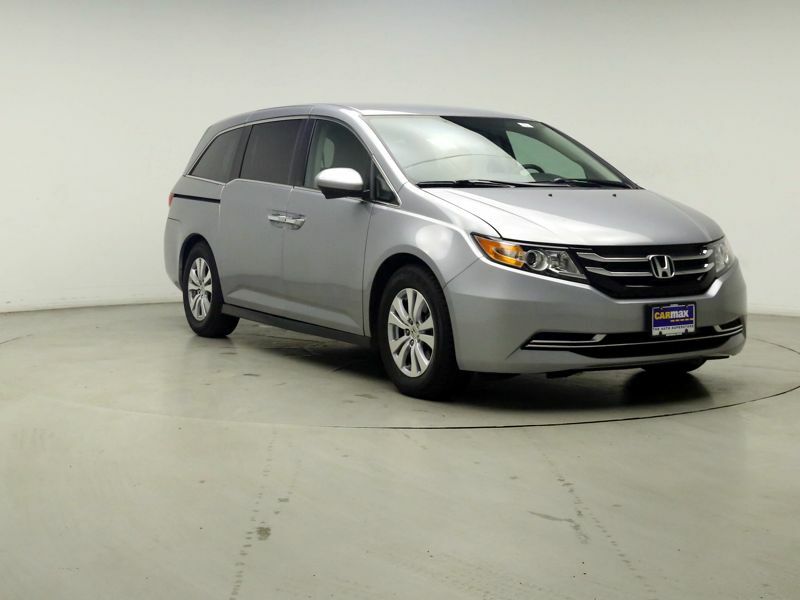 We considered an SUV but the Odyssey gives you more for your money and it will be on the road 10+ years.